Previous FSM releases of Jerry Goldsmith's music have concentrated on his scores for westerns (Stagecoach, 100 Rifles, Rio Conchos) and a war classic (Patton). This new CD presents two complete Goldsmith outings in the gentle Americana vein which has always brought forth the composer's most tender and heartfelt writing (see everything from Lilies of the Field and The Waltons to The Raggedy Man): the well-regarded feature The Flim-Flam Man (1967) and little-known television movie A Girl Named Sooner (1975). The Flim-Flam Man tells the story of a veteran Southern con man, played by the brilliant George C. Scott, and his escapades with a young protege, played by Michael Sarazzin. The score demonstrates Goldsmith's brilliance in capturing a wide variety of emotions (comedy, Americana, personal drama) with unifying melodic material: the score evokes slapstick chases, the wide-open feeling of the land, and the sincerity of the characters' relationships as patches of the same homemade quilt. The Flim-Flam Man uses a variety of instruments from Goldsmith's western canon for its color: harmonica, accordion, banjos, guitar and percussion, plus a "tack" piano which was created by recording a piano at slower speeds and manipulating the tape to speed it up. The score was previously available only in excerpts on the limited promotional CD, Tribute to Jerry Goldsmith. This FSM release presents the complete score, in stereo, with all of the instrumentation and "sweeteners" intact. A Girl Named Sooner is cut from a similar cloth but focuses primarily on strings, harp and harmonica for an even more intimate underscoring of the story of a young country girl who is adopted by a childless couple (Richard Crenna and Lee Remick). Goldsmith uses the same care as in his classic A Patch of Blue to create a memorable main theme and variations for the delicate emotions of childhood. The score is presented complete, in clean mono. 2011 May 13 - FSM Blowout Sale! Goldsmith's THE FLIM-FLAM MAN / A GIRL NAMED SOONER and Sawtell/Shefter's VOYAGE TO THE BOTTOM OF THE SEA. $4.95 each! Too many deals! Hopefully this and the other blow-out cd will be around til Monday so I can combine them with some used cds and possible the new Intrada (if it is a Williams or Goldsmith). The Goldsmith twofer is lovely, and a hell of a bargain at that price. SAE has about 50 left right now for $14.95. That's a steal price! Get it while you can. I wonder why this particular title was discounted to $4.95. Other titles so discounted got reissued not long after (Voyage to the Bottom of the Sea, King Kong). Not this one...strange. It's a lovely gem of a release so I hope everyone that wanted a copy got one. Has anyone by chance made A Girl Named Sooner artwork for use in iTunes? Just played this the other day. Two delightful scores from Jerry in his 'Americana' mode. Flim is especially fun. 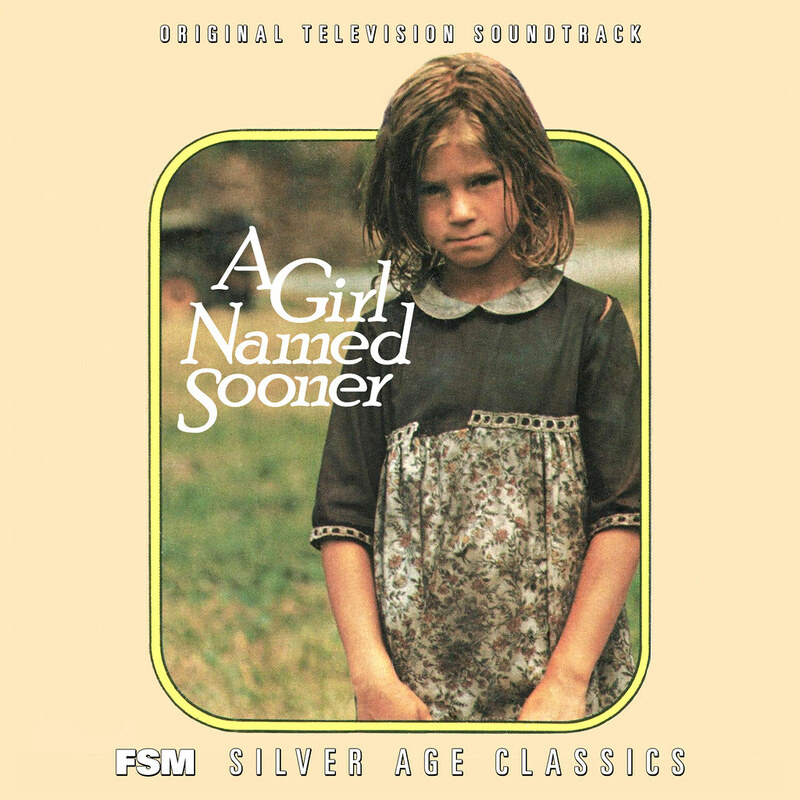 I guess no enterprising graphic designer ever did make a Girl Named Sooner cover?